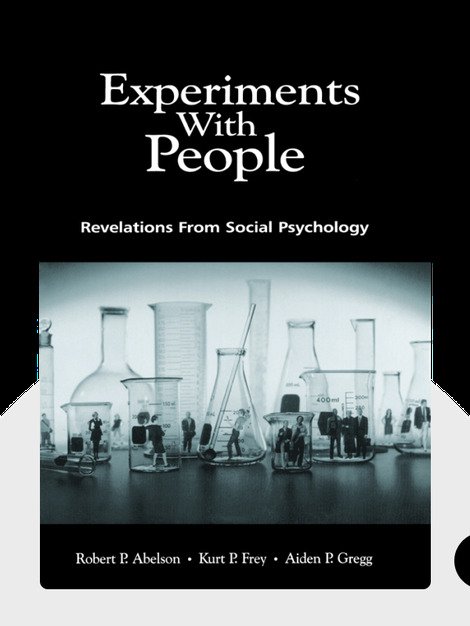 Experiments With People (2003) is a survey of social psychology throughout the twentieth century, and everything we have come to learn from it. These blinks will teach you about yourself, the hidden sides of human nature, why we make the choices we do and how altruistic humans really are. 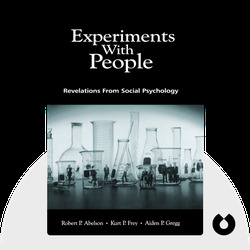 Robert Paul Abelson was a Yale University psychologist and social scientist, as well as an elected fellow of the American Academy of Arts and Sciences. Kurt P. Frey is professor of psychology at Bridgeport University in Connecticut. Aiden P. Gregg is associate professor in the Department of Psychology at Southampton University, United Kingdom.